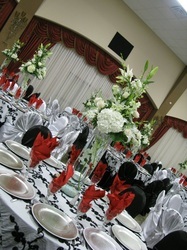 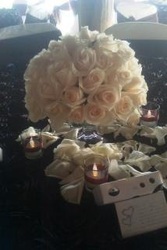 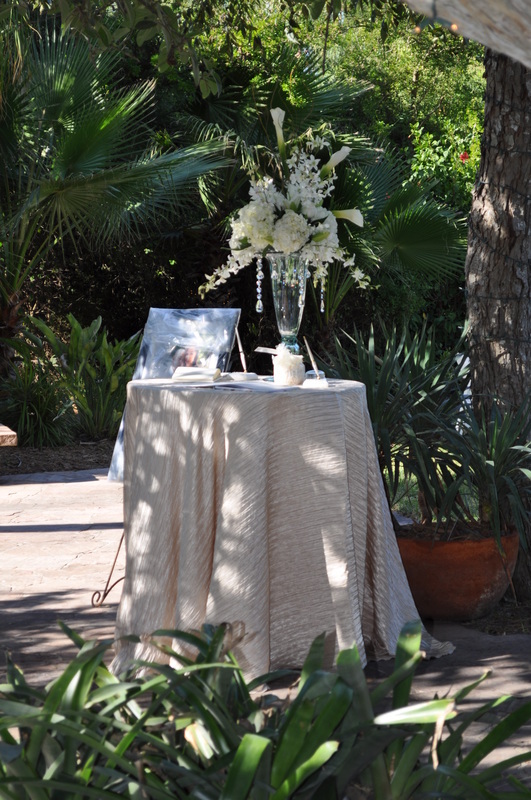 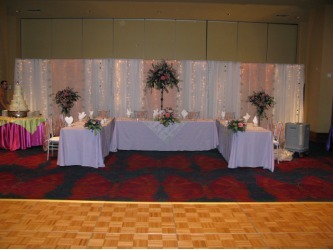 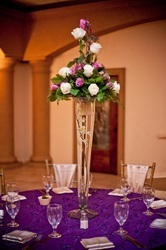 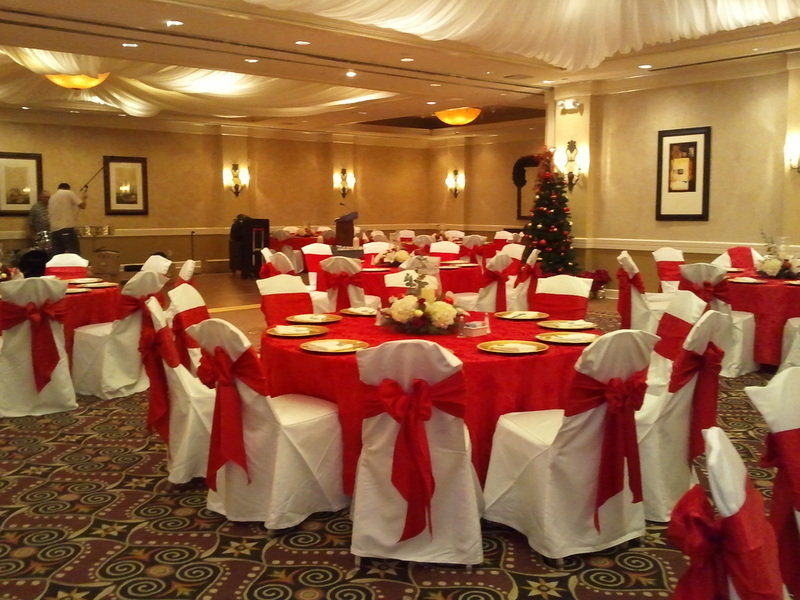 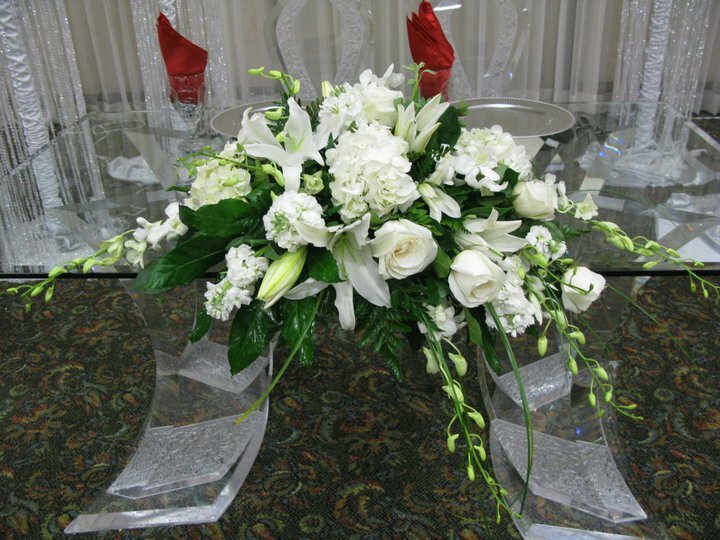 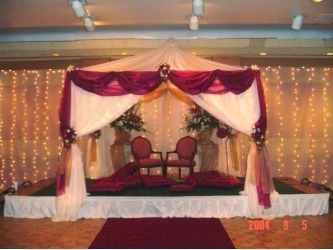 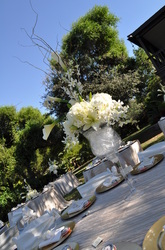 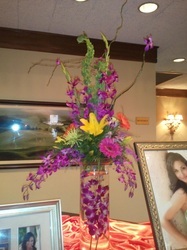 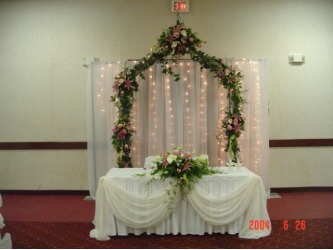 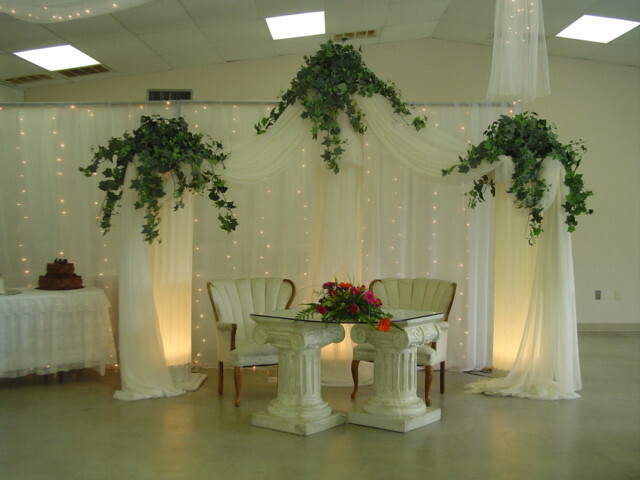 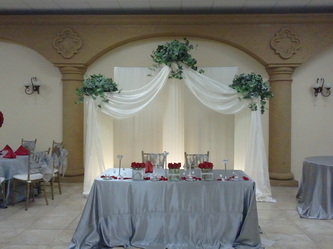 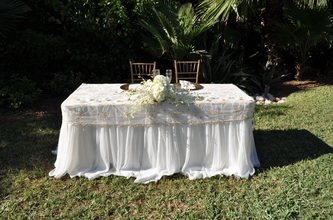 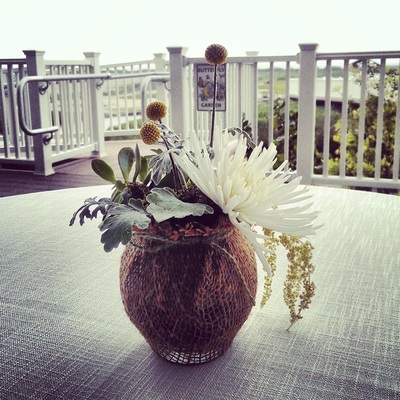 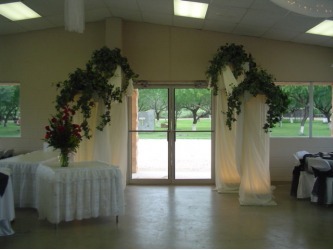 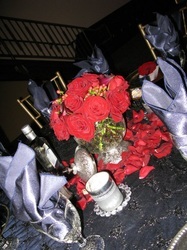 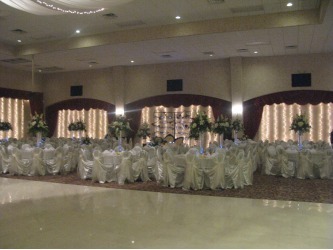 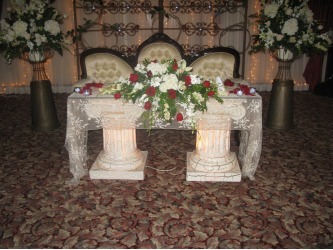 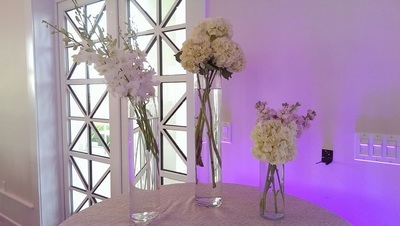 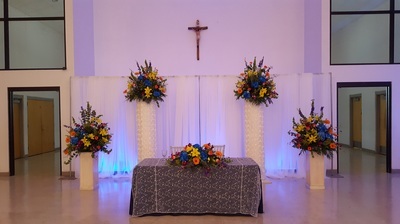 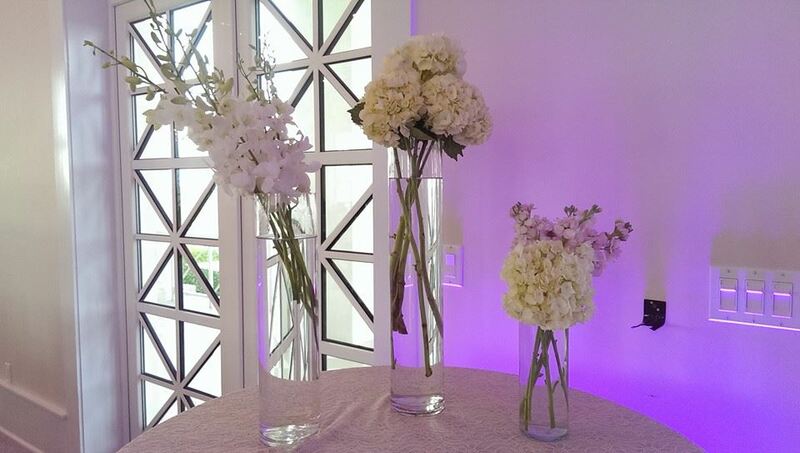 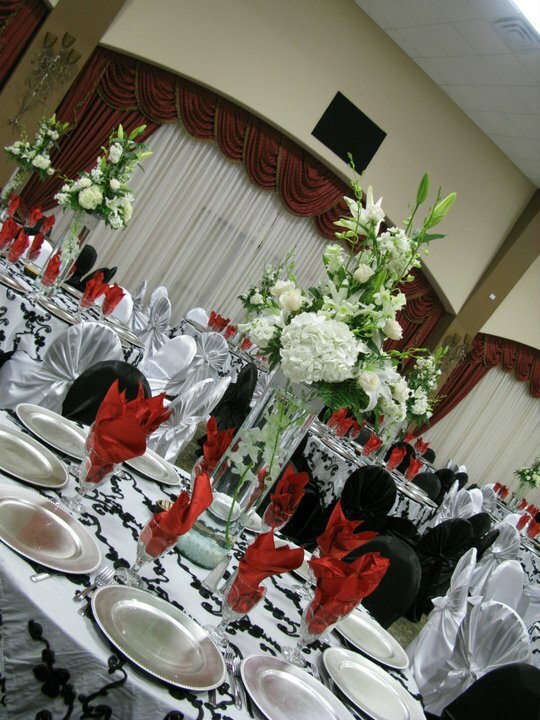 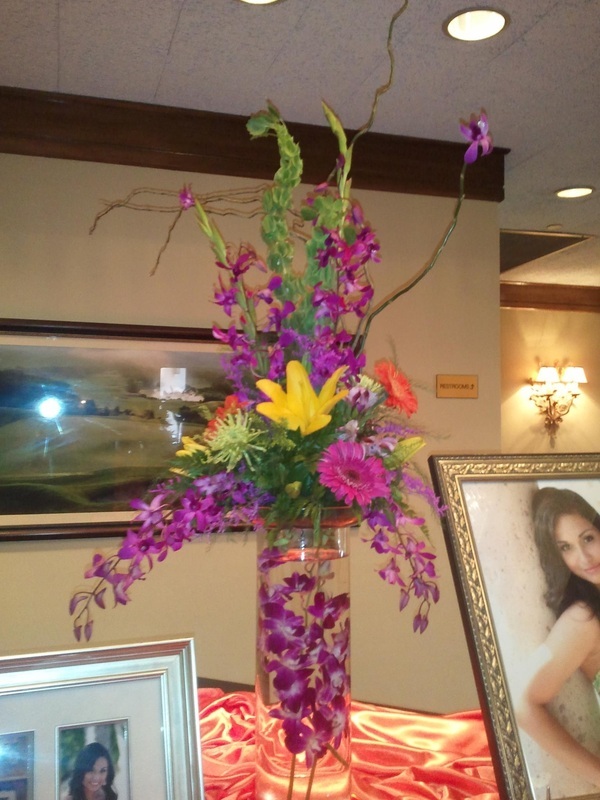 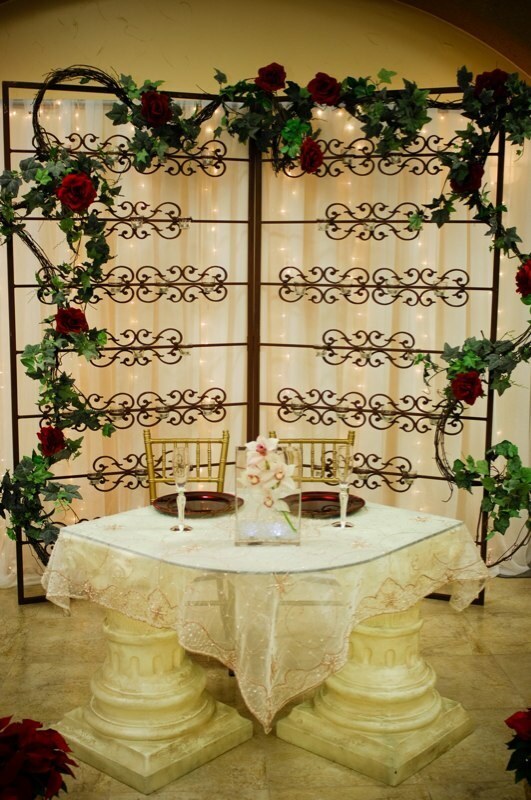 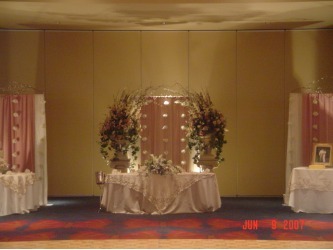 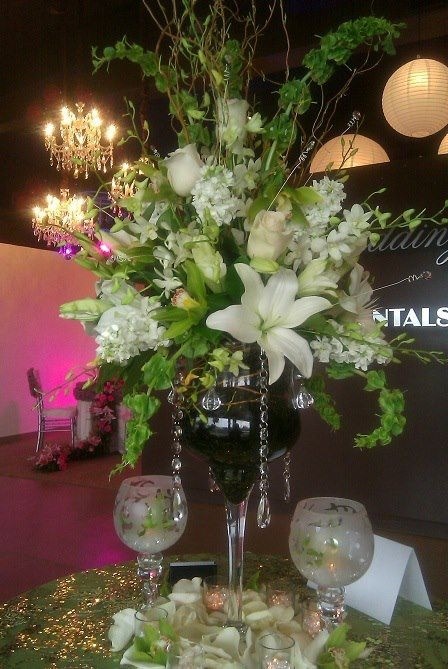 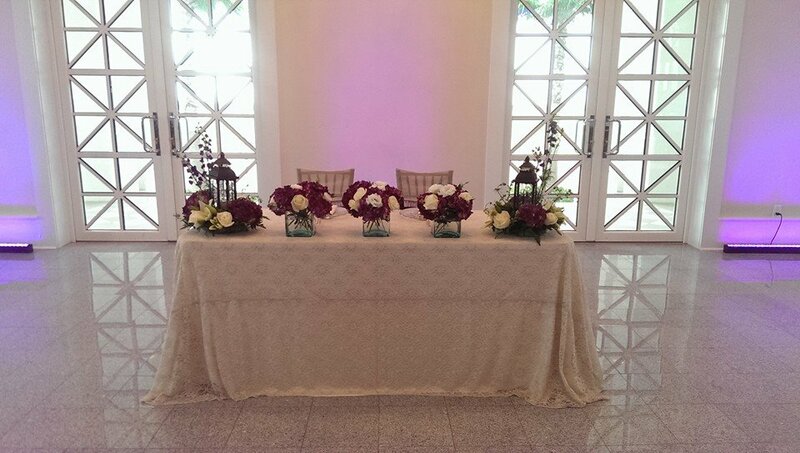 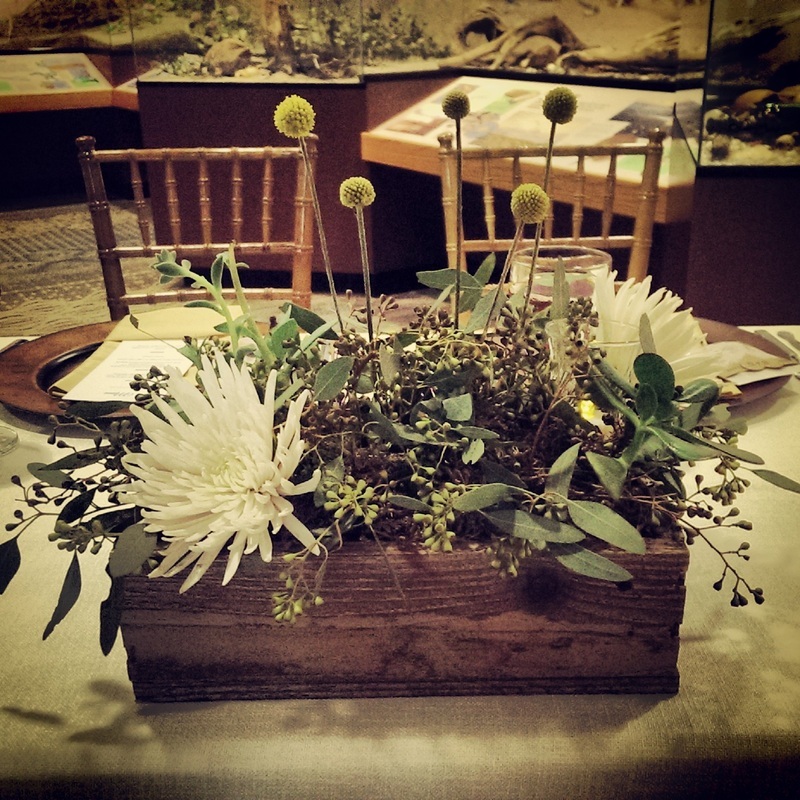 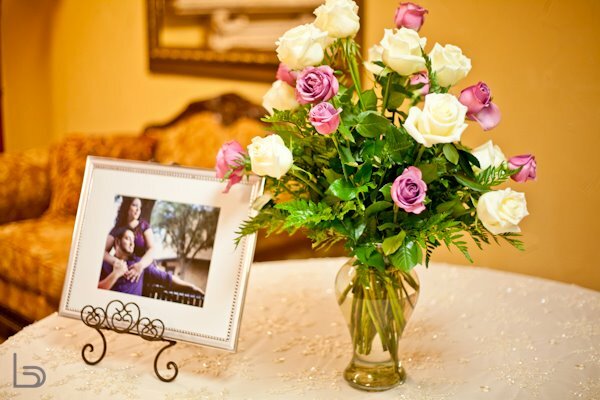 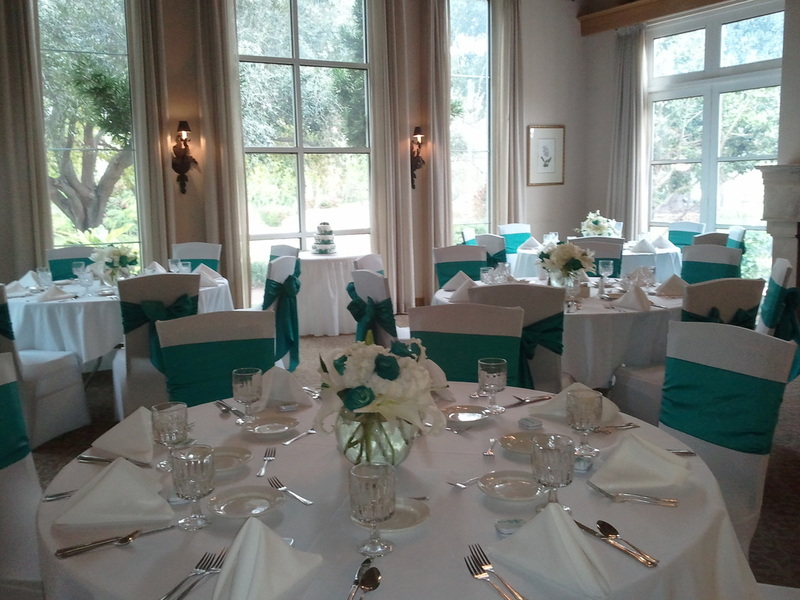 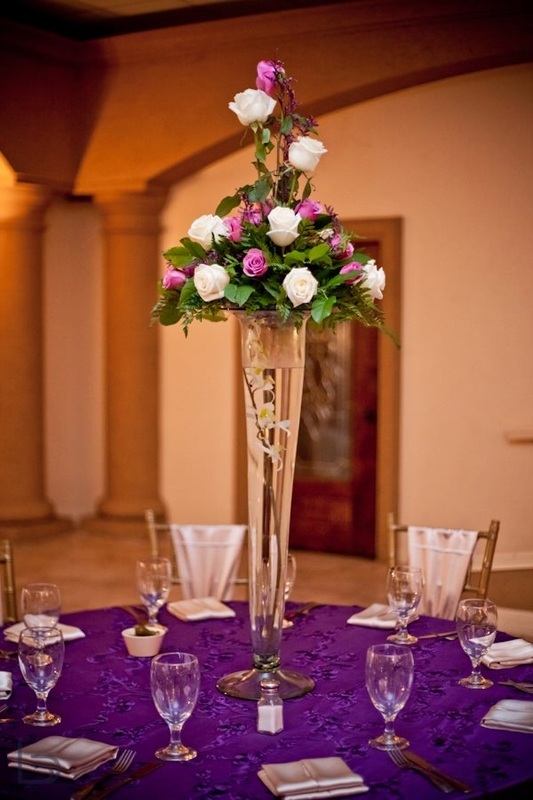 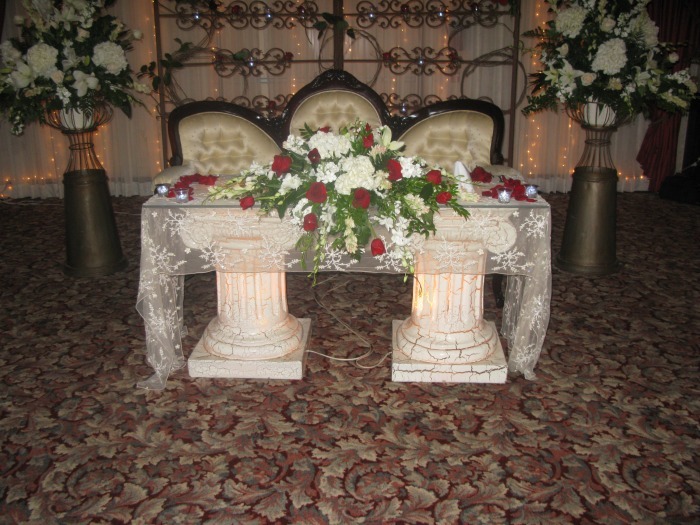 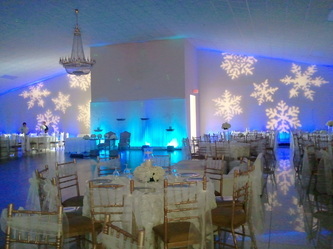 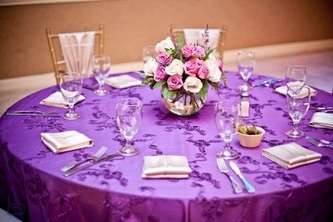 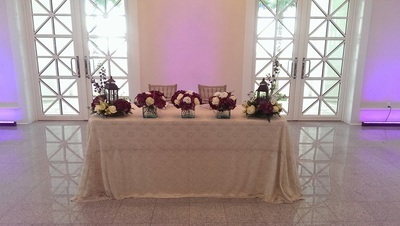 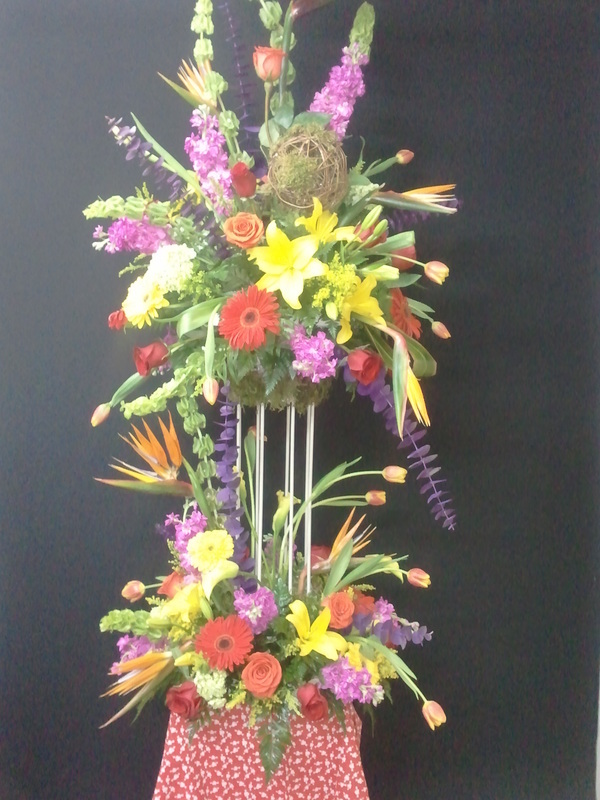 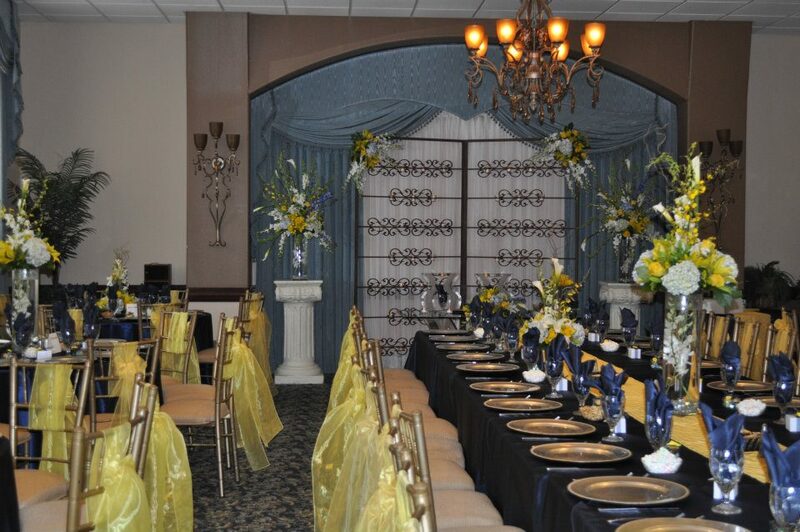 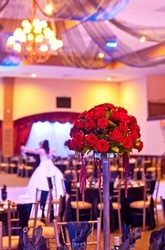 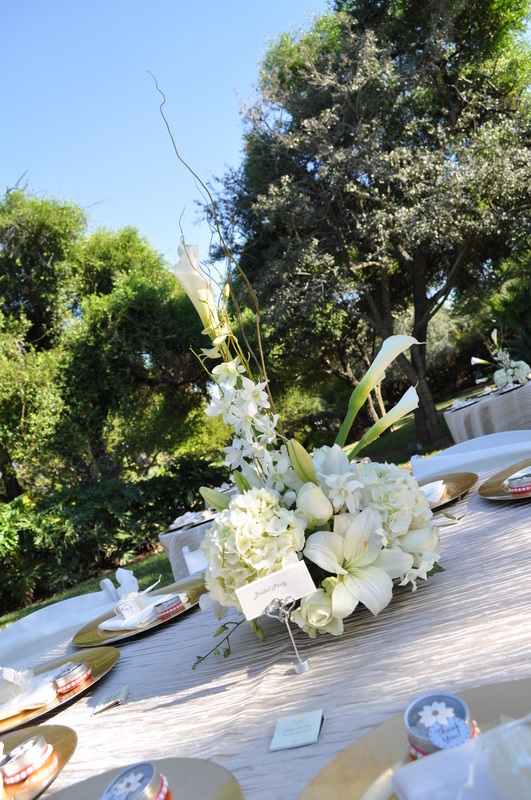 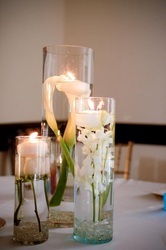 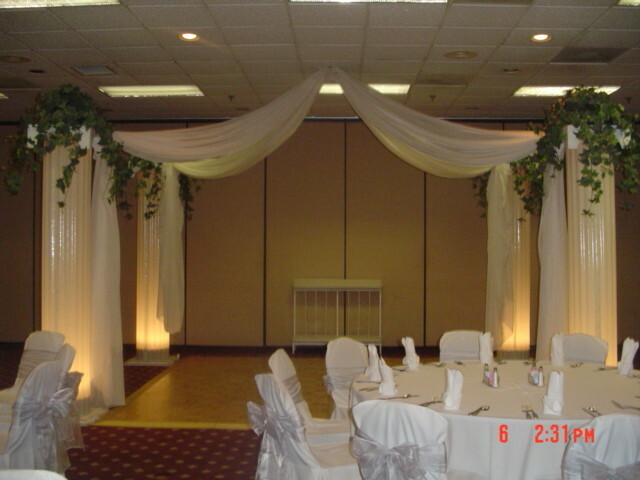 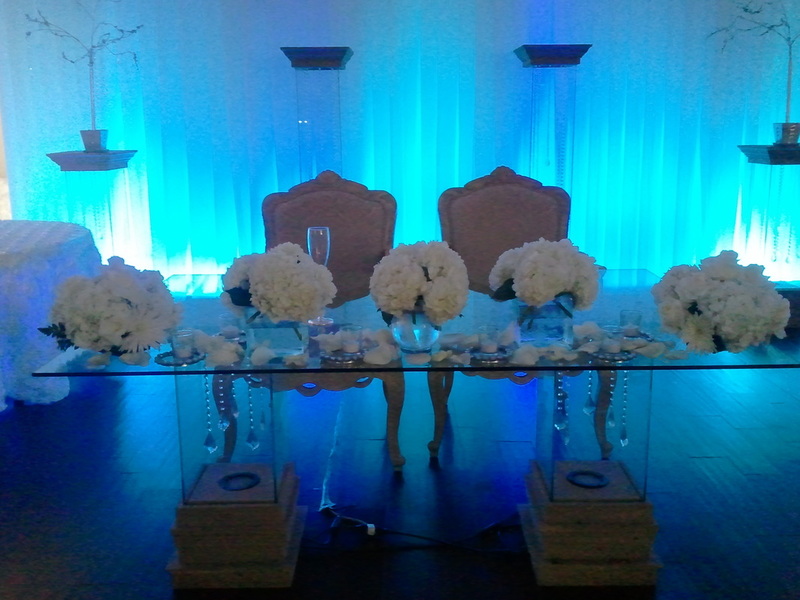 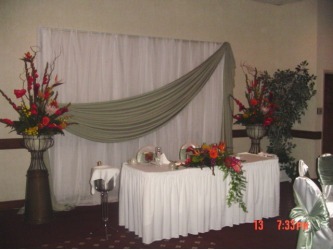 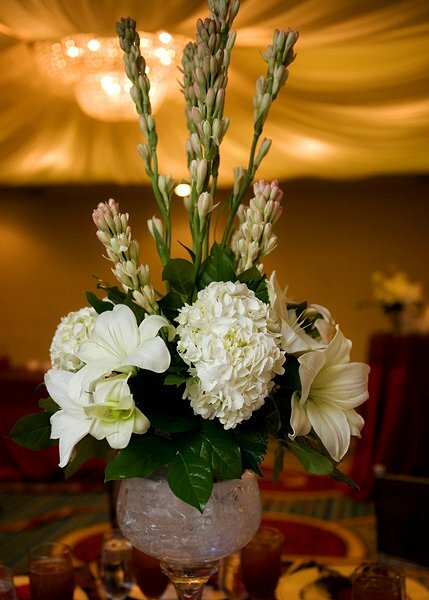 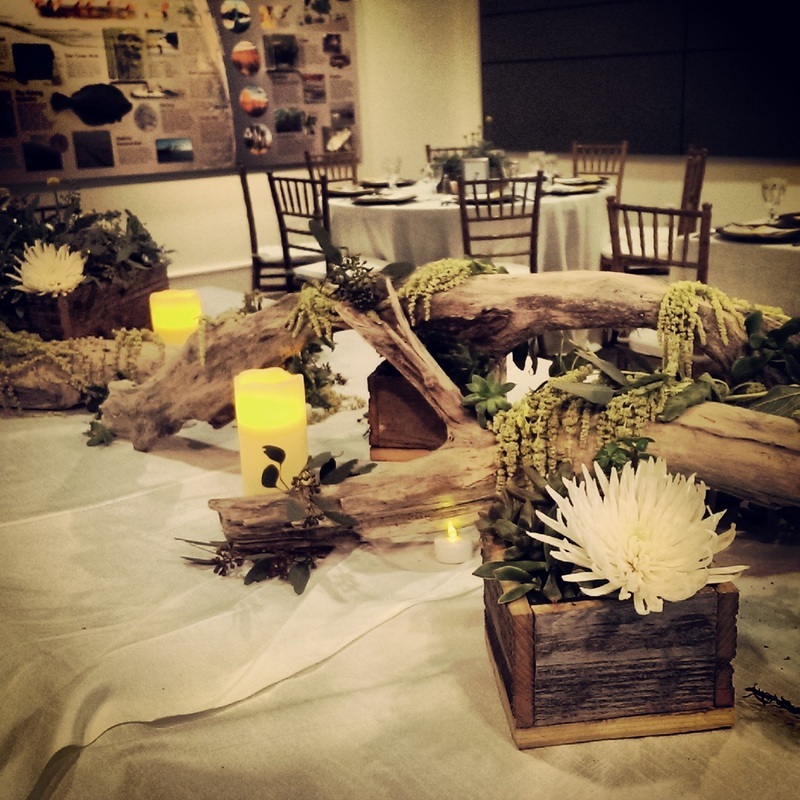 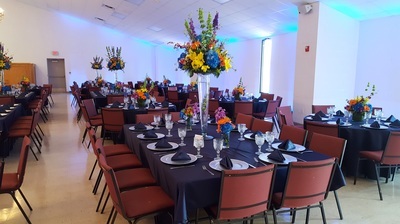 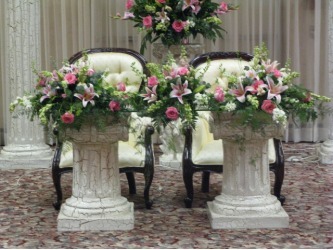 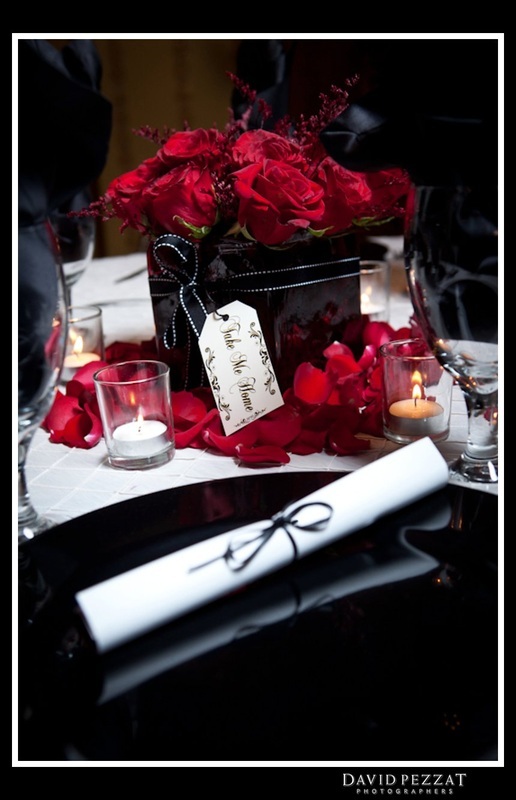 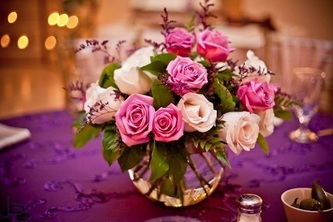 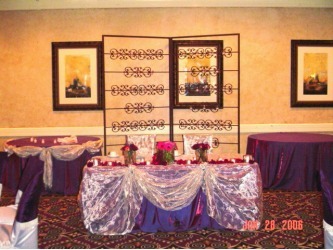 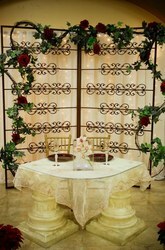 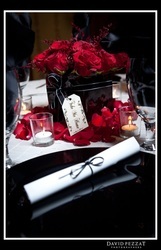 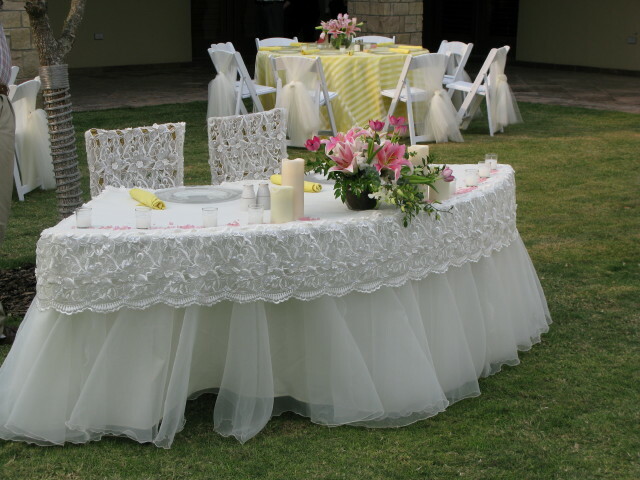 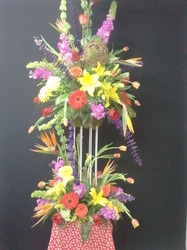 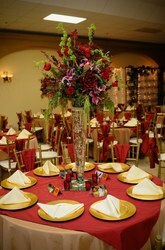 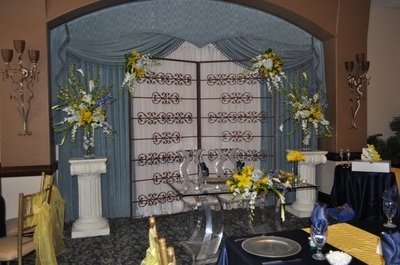 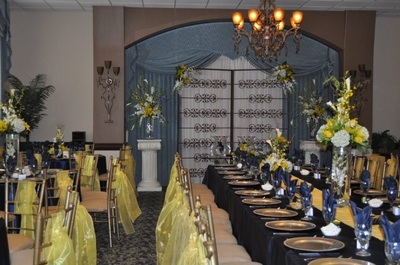 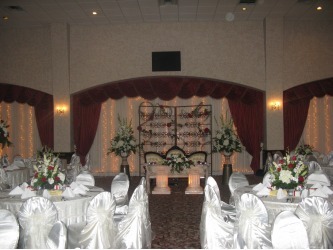 We are committed to making your reception unique from all of the rest. 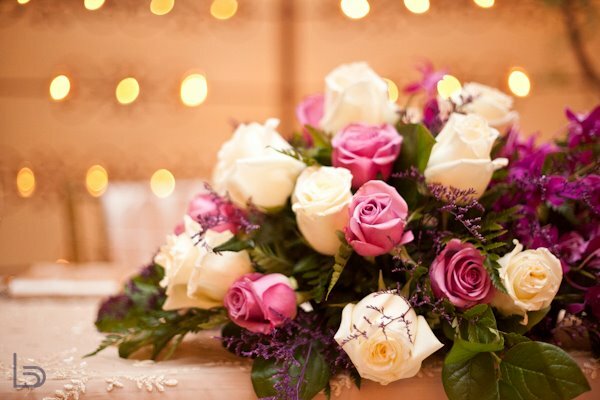 Who wants their special day to be just like everyone elses. 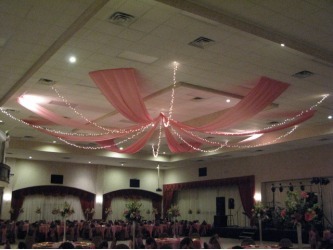 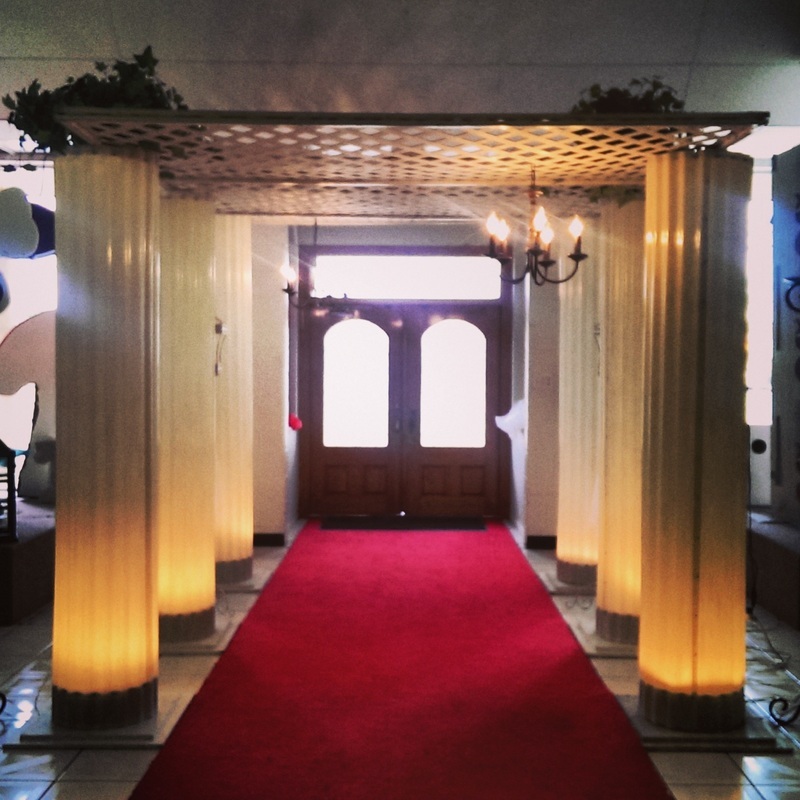 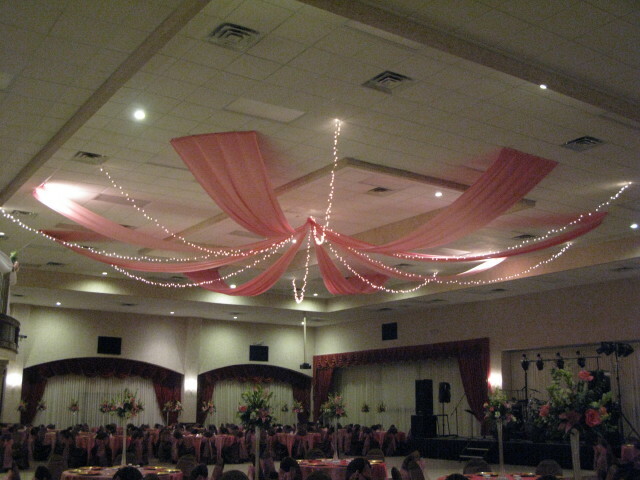 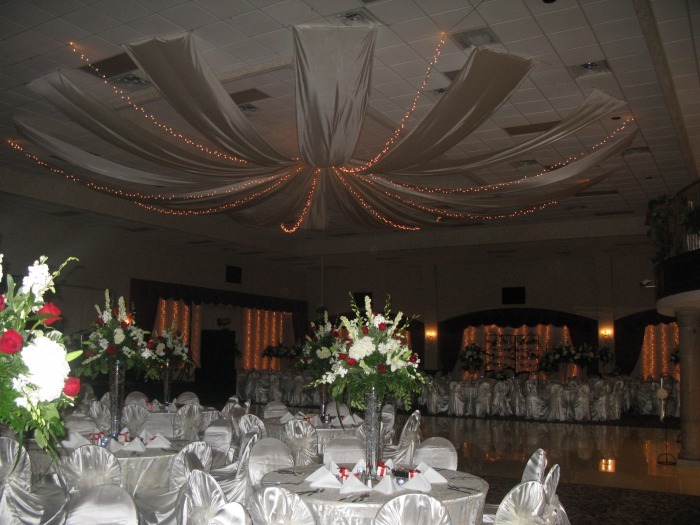 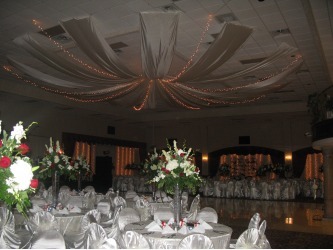 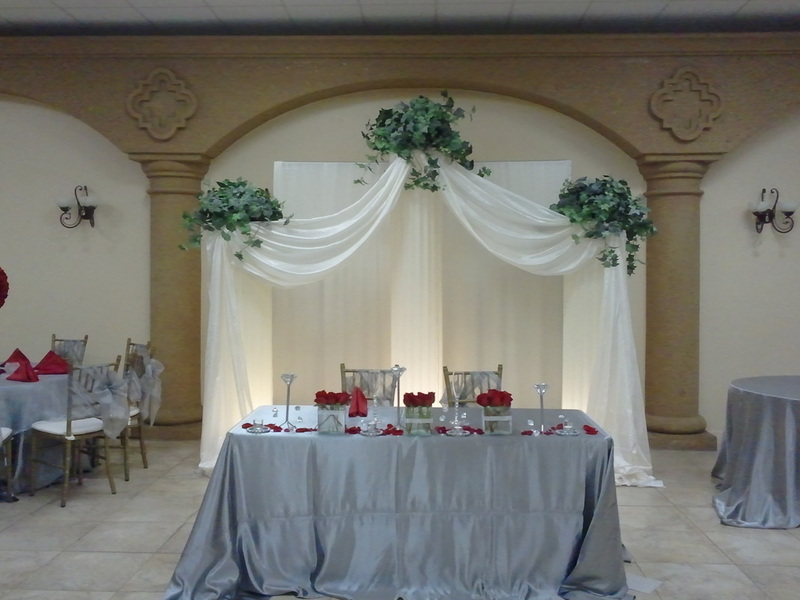 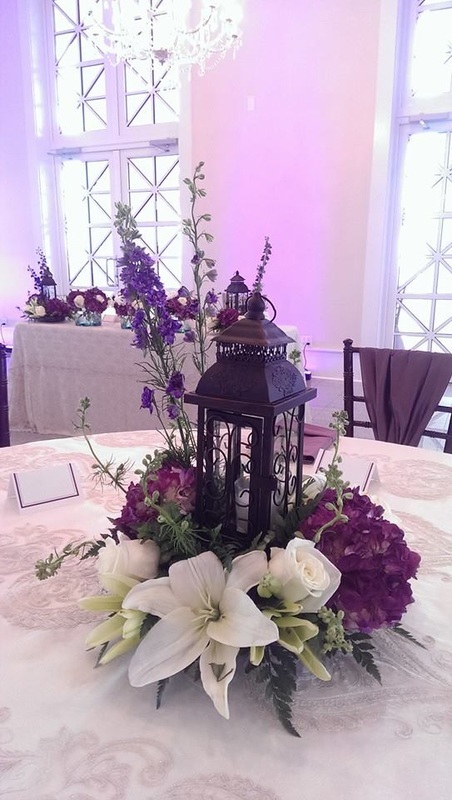 From lighted columns to iron candle panels and elegantly draped ceilings, we are able to provide you with beautiful decor to make any venue look amazing. 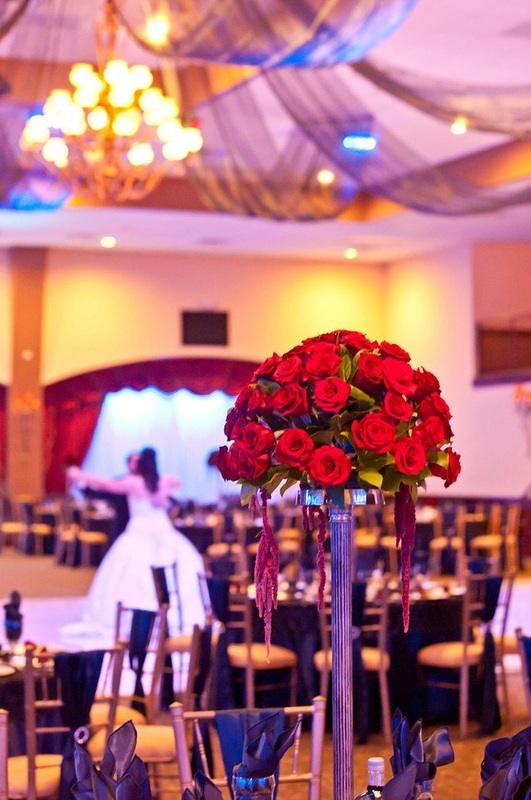 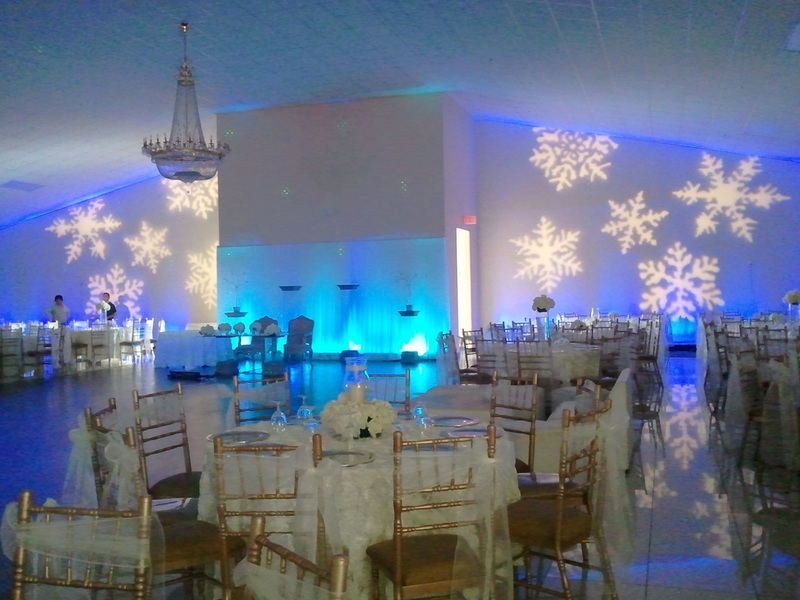 Whether you are in a hotel setting, a large ballroom or in the beautiful outdoors, we have that perfect something to transform it into your perfect fairytale.